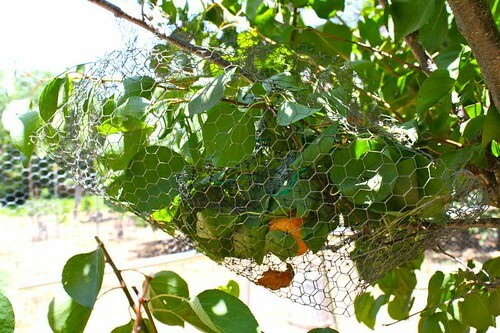 Sometimes, I go to great effort to try to protect the fruit from squirrels. This chicken-wire basket worked. And was worth it. 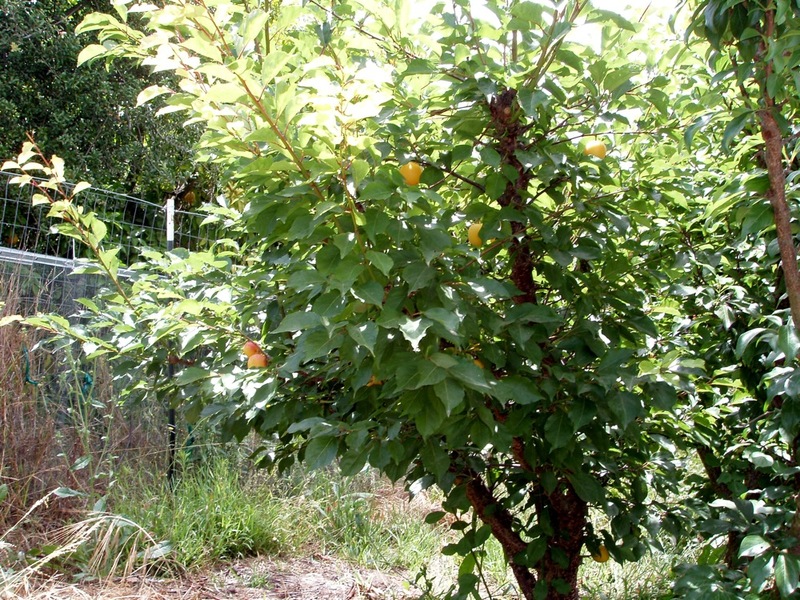 This is the only fruit the Hunza apricot tree has had since either 2010 (when we were away, so I would not know) or 2009 (when it had several fruits, before being transplanted to our current location). 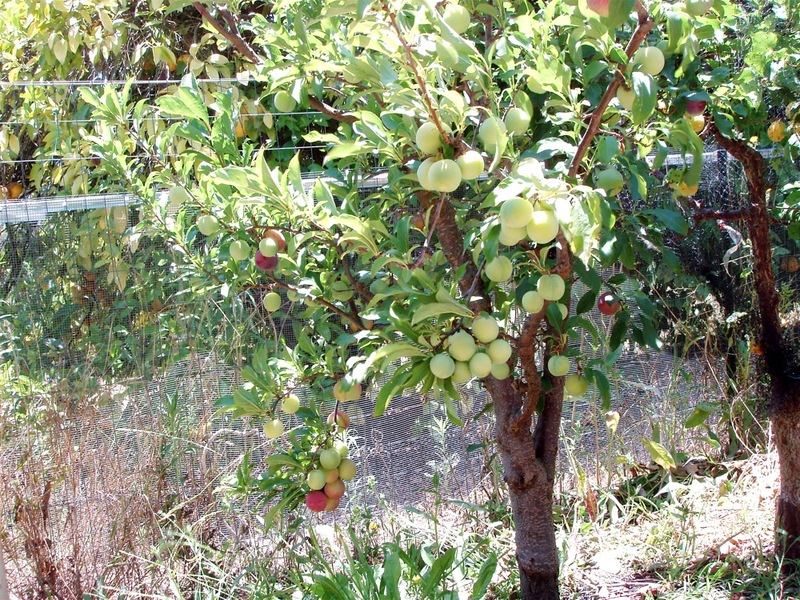 The ‘Earli Autumn’ apricots are quite large this year, and already close to ripe. 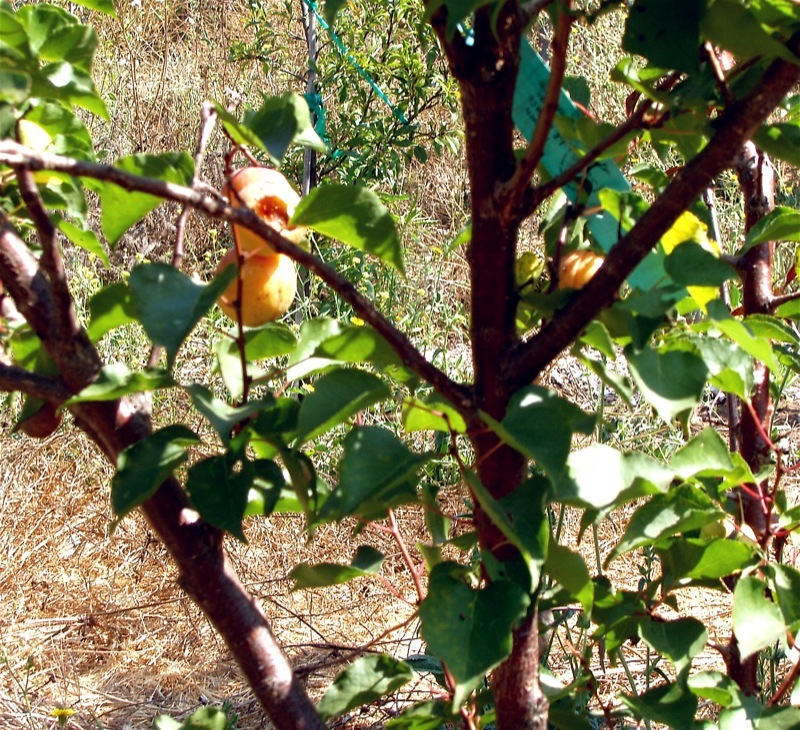 The ‘Earli Autumn’ is the trunk at the right of the photo, while the one to the left is another late-ripening apricot, known as ‘Autumn Glo.’ This latter variety has only a few fruits this year, and they are going to ripen somewhat later, is obvious from their lack of any ‘glo’ thus far. This fruit always has a tendency to crack before it can ripen, and the fruit has also attracted considerable interest from snails. I am not confident that I’ll get to harvest any of these. From past experience, it is by far the tastiest of the three late varieties. Oh well. The set on the Geo-Pride pluot is ridiculously heavy this year! 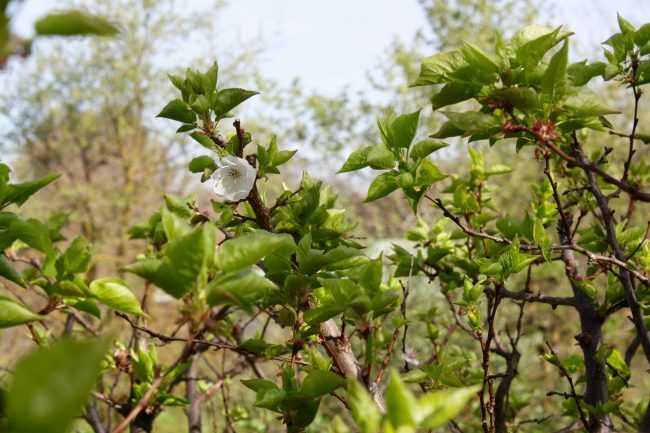 It was a good season for plumcots. The Mesh Mesh Amrah had a pretty good crop, and ripened earlier than usual. Pictured here on the last day of May, part way through the harvest period. And the Flavorella, always somewhat of a shy bearer, had a better crop than usual (pictured on 5 June). 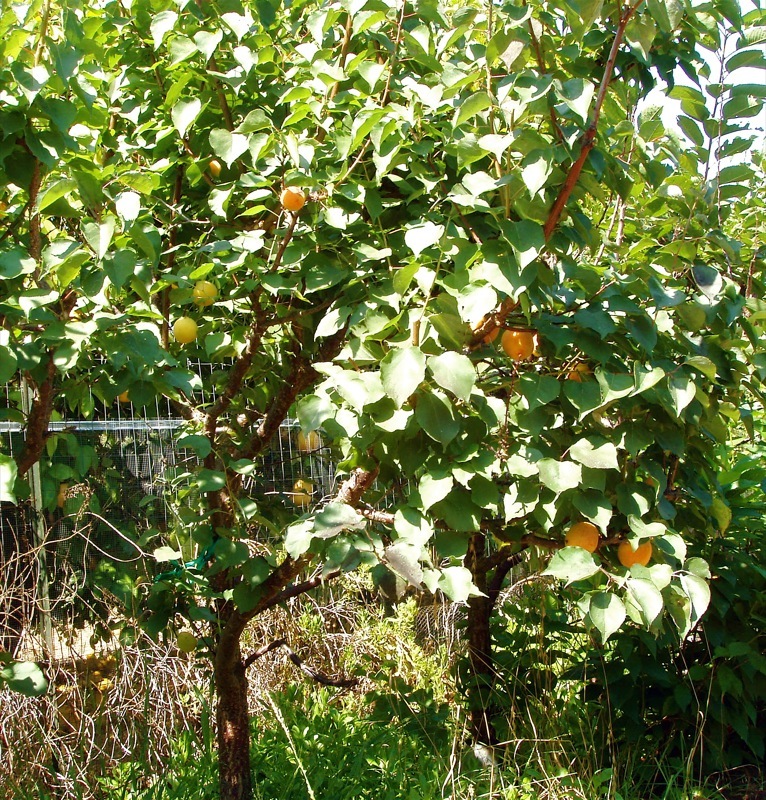 Plumcots have such a distinctive flavor–clearly a best of both worlds! 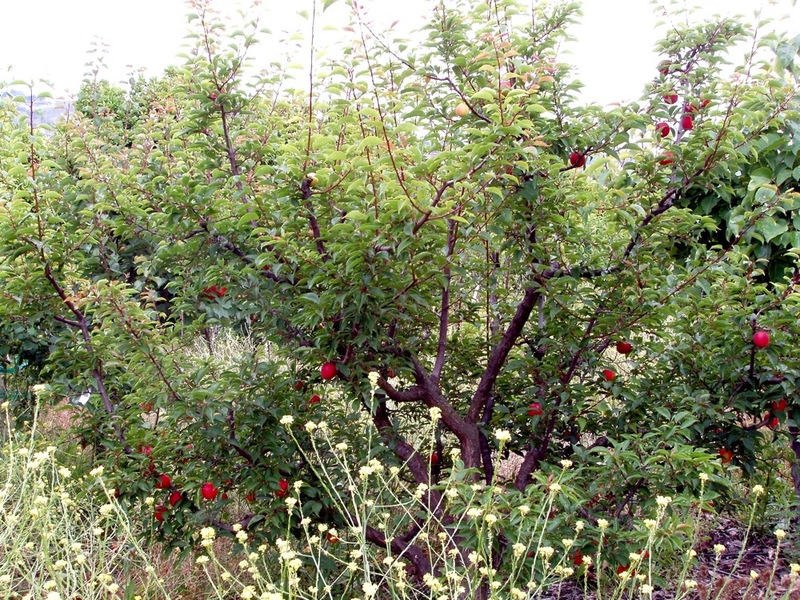 The Hunza apricot has a dozen or so fruits this year. No, that is not a big crop, but it is more than I ever really expected. This was not, by reputation, a variety likely to succeed here. But reputation never keeps the scientific farmer from an experiment! The fruit is barely noticeable in the photo, because only a few of them (lower branch to the right) yet have any color beyond green. But most of them are quite large (which should mean a good sized tasty kernel inside!). And it was time to (try to) protect them from other species that co-habit at the finca. 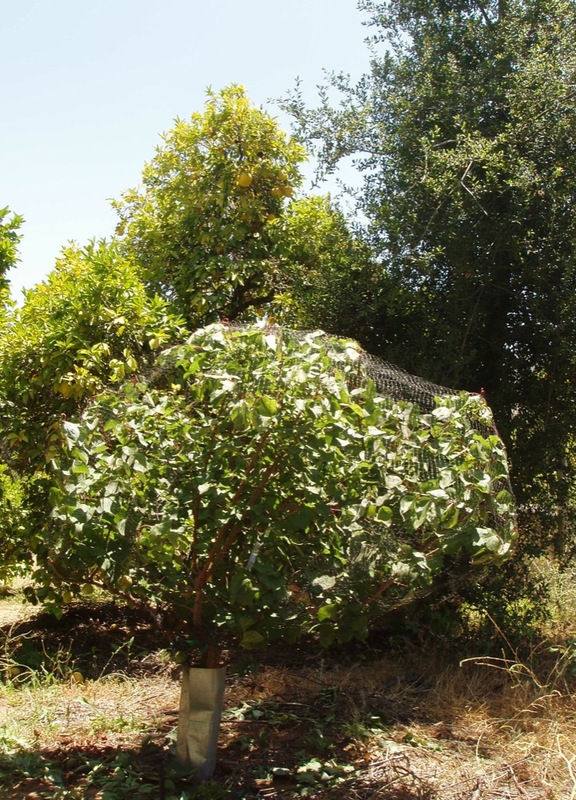 So, now the tree is netted, after a little summer pruning to control size and help fit the netting over it. Note also the metal wrapped around the trunk, which sometimes seems to help (a little bit) with climbing rodents. Behind the Hunza are a grapefruit tree and a “volunteer” Coast Live Oak. I fear the latter is going to need to be cut down, which I would hate to do to a native. 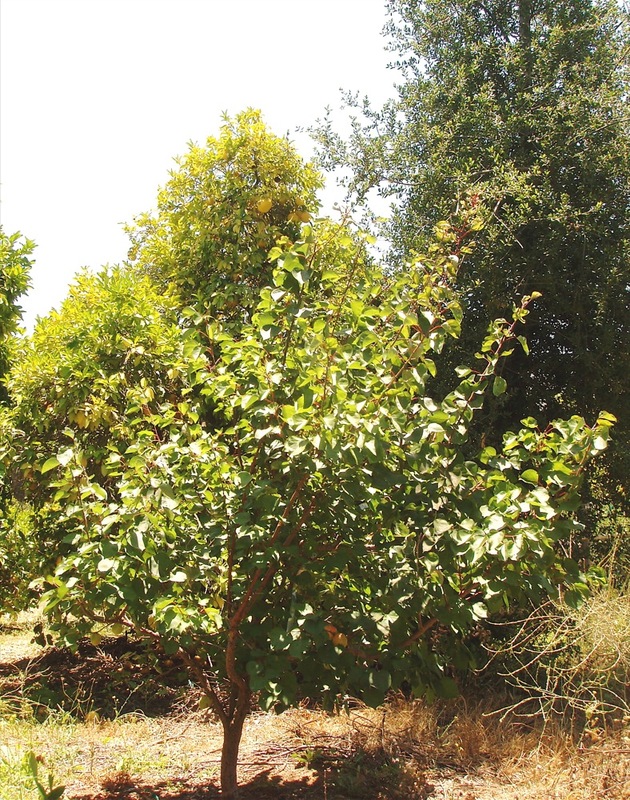 But I have many others–opportunists growing on the water of the grapefruit grove and actually more valuable in many ways than grapefruit–and this one will soon provide too much shade and competition for the Hunza and the nearby corralito. 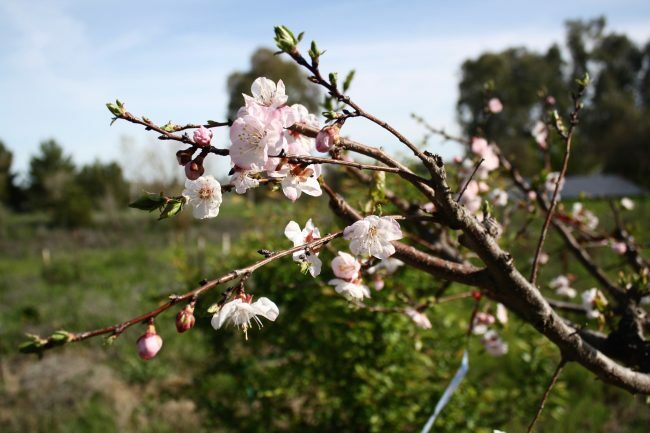 Now certainly is a good time for summer pruning, given that it is officially–axially–summer! At sundown, it also will be Rosh Chodesh Tammuz, so this year the day of maximum light* will have to wait a couple of weeks past the solstice. * Assuming the gloom stays away–which, this year, is not a safe assumption.